l am very much looking forward to working with you all in these three fabulous units. Oz Lit (otherwise known as Australian Literature) will take us on an amazing tour of the creativity produced in this, our, country over the past 200 years and more… Twentieth Century will engage us with the literature from around the time of World War 1 through to our own times. Visionary Blake will explore the ways in which the visionary poet and artist William Blake had such an impact on contemporary, including Australian writers, Patrick White and David Malouf. In all these units we will be reaching out to contextualize our study through visits to the NSW Art Gallery and to other relevant sites. However, the most important thing for you to do is firstly to read and secondly to write. Reading the primary texts (poems, novels, plays, essays) is your first responsibility. Writing about your experience of these texts is your second responsibility. You can do some of your writing right here in WordPress which will become a repository of ideas and sources of information that will help you very much in your final assessments for the unit. You must also use WordPress as a place to interact with and learn from each other. That is why each week you should visit at least one of your peers and make thoughtful, supportive, creative comments on what they are doing. And you will be amazed how much you can learn from how others in the unit are interacting, engaging with the text material. So don’t be shy! Just move out into cyberspace, listen and respond. You can post your WordPress URL into the “Post Your URL Here” space in LEO. Find each other there. Enjoy your Spring Semester. 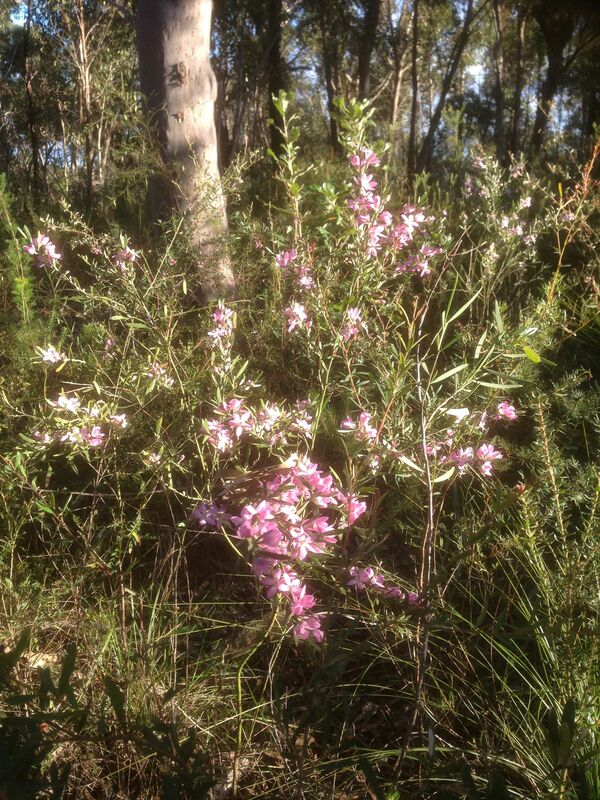 Here are the first Wax Flowers (Eriostomon Australis) that I have seen this year. This is always a sign that Spring is just around the corner!